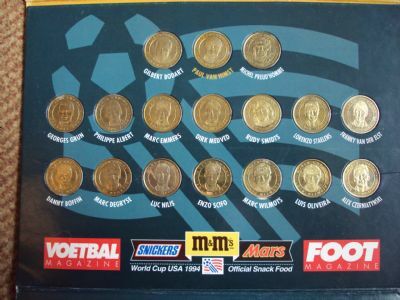 Nice standard ofrmat set of player coins covering the Belgian squad of 1994 in presentation folder. Complete set of coins in presentation folder. Nicely minted and designed coins.